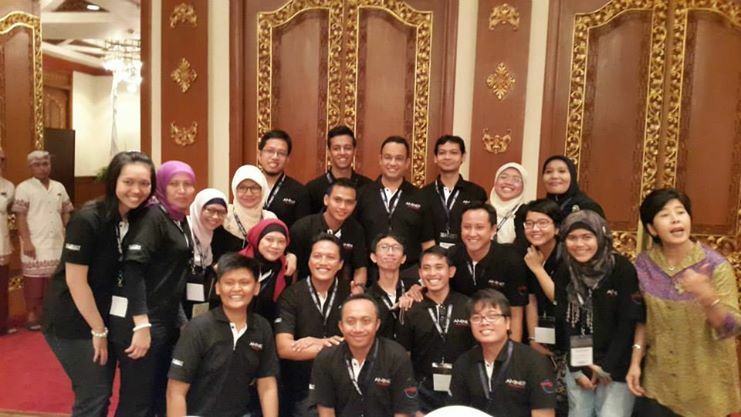 Pertanyaan dan Jawaban Seputar Beasiswa Fulbright – Wonderful Learning. Tertarik melanjutkan studi S2 dan S3 di Amerika? Beasiswa Fulbright merupakan salah satu beasiswa tertua dan bergengsi yang diberikan pemerintah Amerika Serikat kepada pelajar di negara-negara berkembang, seperti Indonesia. Setiap tahun beasiswa ini selalu dibuka dengan batas waktu pendaftaran umumnya di bulan April. Bagi yang tertarik ingin melamar beasiswa Fulbright, berikut ini ada pertanyaan dan jawaban seputar beasiswa Fulbright dari Aminef. Ingat, beasiswa ini ditawarkan setiap tahun, memahami semua hal tentang beasiswa ini bisa berguna dalam mempersiapkan diri ketika waktu yang tepat datang. 1. How can i apply for the scholarship program administered by aminef? You must complete the program’s application form, attach all required documents, then submit your printed and signed application form in person, by post or by courier service to the aminefoffice. Please note that we do not accept emailed application form. 2. Where can i get the application form of the scholarship program administered by aminef? You can download the application form from our website, on each program description’s page. Please contact us through personal message on this facebook page or email infofulbright_ind@aminef.or.id should you need any assistance. 3. I am a fresh graduate / civil servant / private institution employee, can i still apply for the fulbright master’s degree / ph.d program? Yes, you can still apply for the fulbright program. 4. What do the scholarship awards provide? Fulbright and other scholarships offered by aminef provide international travel, in-transit allowance, settling-in allowance, tuition and fees for university course work, accident/sickness insurance, monthly maintenance, books, computer, and professional activities allowance. 5. Are the grants awarded for study in a country other than the u.s.? 6. Is a u.s. citizen who claims dual citizenship or a permanent resident of the u.s. eligible for a fulbright award to the u.s.? No, the u.s. recognizes only the u.s. citizenship of such individuals and not their claim of any other citizenship. Furthermore, a permanent resident of the u.s. will not be able to fulfill the residency requirement of an exchange visitor visa (j-1). 7. Under which visa category do persons participate in the program? All Fulbright and other special program grantees are required by the united states department of state and the j. William foreign scholarship board to be on “j” visas. 8. How important is English proficiency in applying for a grant? English proficiency is an important requirement for all grant categories. This is typically a requirement of american university graduate schools. Fulbright grantees are required to meet the same university admission criteria as other student applicants. 9. Is a u.s. green card holder eligible for a fulbright award to the u.s.? 10. When should i apply for the award(s)? The program is announced all year round for all program categories. The application forms are available can be downloaded from Aminef website, under each program’s description. Completed applications must be received by Aminef on the deadline set by each program. 11. Can i apply for more than one program at the same time? Yes. All applicants can apply for more than one program at a time; as long as they meet the requirements set by each program and fill out the appropriate application form. 12. What exactly do you mean by leadership potential? You should demonstrate the potential to achieve positions of significant responsibility. Your academic and professional experience should indicate a promise of becoming a prominent figure in your field in the future. 13. Which referees should i choose to write a reference letter for me? Reference(s) should be requested from professors who are able to provide a thorough assessment of academic performance and professional promise, or from people who have supervised you in work relevant to your proposed study. In addition, letter(s) of reference play a very important part in scholarship application. Unrevealing letter(s) can jeopardize your chances of success as much as negative ones can. 14. How many interview slots are there for each program? It depends on the number of applicants; more qualified applicants mean more applicants to interview. 15. Can i have an interview over the phone or skype? No. All candidates must be interviewed in person at the designated venue and time. 16. Who is on the interview selection panel? The selection committee is composed of two to four indonesian and american scholars. It is drawn from the following list: commission board members, senior academics, u.s. embassy representatives, american fulbrighter scholars, fulbright alumni. The program officer(s) and/or executive/ director of aminef would also participate as non-voting member(s). 17. When are the interviews held? For programs which deadline fall on april 15, interviews are held some time in june through august in major cities throughout the country, where there are sufficient number of qualified applicants. We will contact all interviewees through email and phone as necessary. Please note that if you are not contacted by aminef by end of august, it means you are not selected for the interview selection. 18. Can i defer the scholarship to the following year?